This delicious Merlot dominated blend (80% Merlot, 15% Cabernet Franc, 5% Cabernet Sauvignon) is powerfully fruity, full bodied and perfect for Autumn drinking. The nose is powerful and very expressive with black fruits notes slightly Woody. 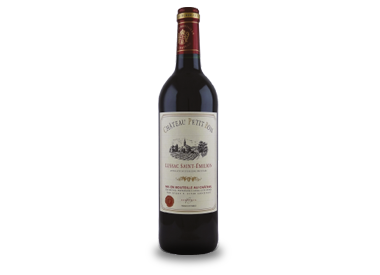 On the palate, this wine is fleshy and very well-balanced with round silky tannins. The finish is long and elegant. Pair supple Saint-Emilions wines with flavourful meat dishes and savoury stews. Great with roasted chicken, duck or game hen.